Dell 0UF366 KVM kopen? | That's IT! Gebruikt, maar in perfecte staat. The USB SIP (Server Interface Pod) supports low speed data-transfer rates of up to 1.5Mbps, but does not support Virtual Media(VM). Like all Dell SIPs, the USB SIP converts the keyboard, monitor, and mouse signals from a server and drives them through a single CAT5 cable, eliminating the typical KVM cable management headaches. 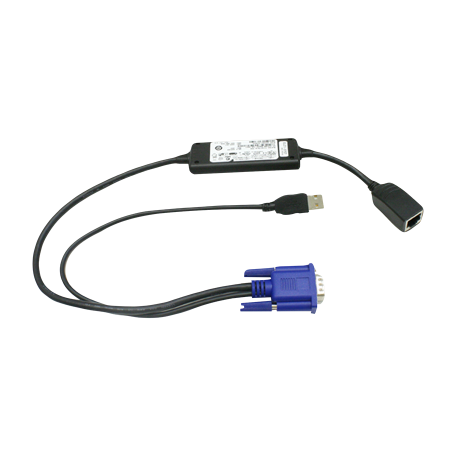 The USB SIP draws its power from the server and has a 'Keep Alive' capability that is designed to keep your server working properly with or without connectivity to the KVM switch. 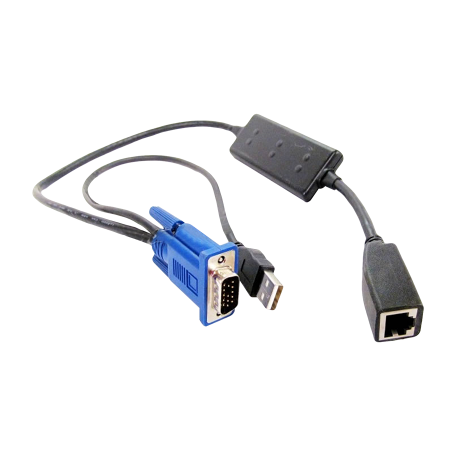 This product has been tested and validated on Dell™ systems to ensure it will work with your KVM switch. It is supported by Dell™ Technical Support when used with a Dell™ system.